Very very pretty! I LOVE the little flowers. They're so pretty! Great job on those lilacs, and the card just turned out beautiful! Thanks so much for playing along in this week's challenge at Word Art Wednesday. We're SO blessed to have you with us, and hope that you're having a wonderful week! Hope to see you again next week. Praise God that He is risen and we have HOPE! Love the back panel you've created and your folded flower is incredible! Thank you for sharing with us at Word Art Wednesday! 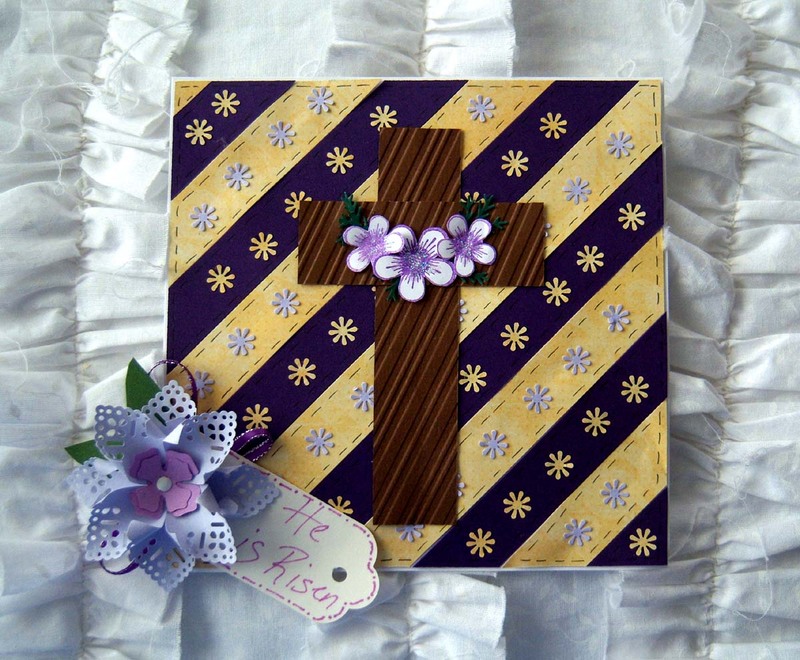 Lovely bulletin board decoration that reflects the true meaning and spirit of Easter. Thank you so much for sharing it with us at Card Crafter's Circle. Lovely traditional Easter card, great details! !One lucky person will receive this for Easter and it will totally put a smile on their face!!! !